Busbars, cables, insulators, pantographs, circuit-breakers... these technological components create the strange, futuristic environment of the four-hectare ITER switchyard. Although no speeding train will ever cross the ITER site, the four-hectare electrical switchyard in the southwest section of the platform will act very much like a railroad junction. 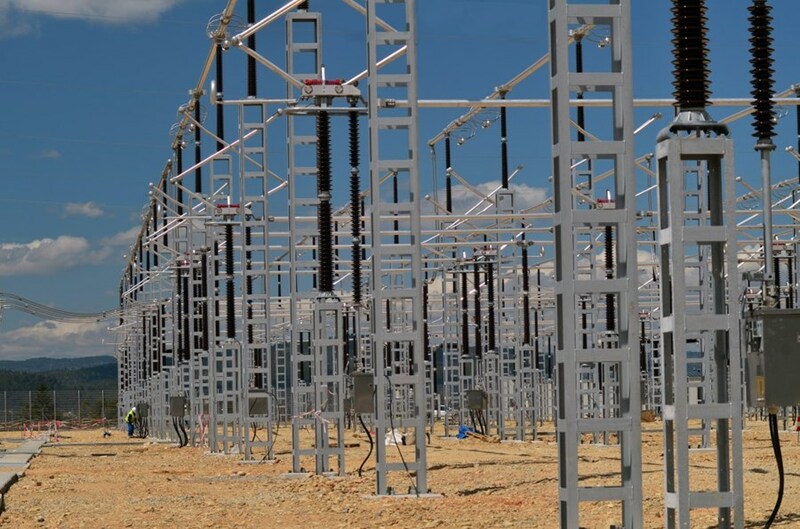 In the same way railroad switches direct trains in this direction or that, open a track here and close another there ... the ITER switchyard will dispatch electricity from the newly built 400kV double power line to seven transformers connected to the installations. 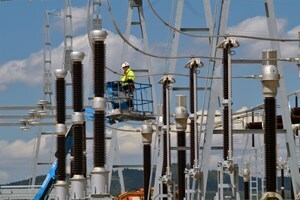 Construction of these transformers—four procured by the United-States and three by China—should begin in 2014. The power that will be supplied to ITER is channelled from a giant switchyard located to the west of Avignon in Tavel (famous for its rosé wine...). From there, electricity travels 125 kilometres to a large substation in the hamlet of Boutre, close to village of Ginasservis some three kilometres south-east of the ITER platform. The 400 kV "Boutre-Tavel" power line is an essential link in the interconnected European grid. It supplies electricity to a vast area of south-eastern France and, since the construction of a derivation in the late 1980s, also to the CEA-Euratom tokamak Tore Supra. In terms of instantaneous electricity consumption, tokamaks are gluttonous machines. Tore Supra requires up to 100 MW of power for every plasma shot; as a much larger and more powerful machine, ITER will demand an average of three to four times more. The anticipated needs of ITER have led to an extension and a reinforcement of the Tore Supra derivation: like "Boutre-Tavel," the new power highway delivers 400kV by way of two distinct and redundant power lines. ITER of course will not use the power lines' total capacity. Plasma pulses will indeed need hundreds of megawatts, but the daily operation of auxiliary plant systems will require much less. "The ITER switchyard guarantees maximum flexibility, both for ITER and for the Réseau de Transport d'électricité (RTE) that operates the Boutre-Tavel power line," explains Joël Hourtoule, section leader for ITER's Steady State Electrical Network Section. Tension variation on a 400kV power line must remain limited to 3 percent. In order to remain within this tolerance, ITER operations must be closely coordinated with RTE dispatching. Installing and financing the ITER switchyard and power-line extension was part of France's commitment to ITER. It will remain under the responsibility of the French Electricity Transportation Authority (RTE). "ITER will provide RTE with annual, monthly and weekly planning schedules. Prior to each plasma shot, ITER will send a signal to the RTE Regional Dispatch Centre in Marseille and receive back an authorization to proceed — or not. This procedure needs to be finalized prior to ITER's operational phase." Installing and financing the ITER switchyard and power-line extension was part of France's commitment to ITER. "Our role," explains Agence Iter-France Head of Technical Projects Jean-Michel Bottereau, "was to bring the 400kV to the foot of ITER. This has been done on time and within budget." The switchyard, which will be "powered on" in June, will remain under the responsibility of RTE. ITER's jurisdiction will begin right outside the switchyard fence, where seven transformers and several circuit breakers will be installed. 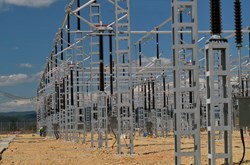 The 400 kV will be brought down to 66 and 22 kV before dispatch to the various plant systems of the ITER installation.